Commuters across Bengaluru in India will soon be able to pay for travel on buses operated by Bengaluru Metropolitan Transport Corporation (BMTC) with a tap of an open loop contactless card provided by Axis Bank. The Axis Bank BMTC Smart Card will also let users make payments at any contactless terminal. 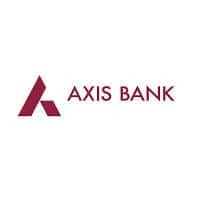 “Axis Bank has partnered with National Payments Corporation of India (NPCI) for this project for developing the transit EMV contactless specification on interoperable open standards,” the bank says. “These specifications can be used by any other transit operator by incorporating these standards with their existing fare collection systems. “This will make it more convenient for the commuters as it would allow them to use the same card for purchasing tickets/passes and for all other daily purchase transactions. The Smart Card will be issued and loaded at BMTC issuance counters such as pass counters and Traffic and Transit Management Centres (TTMC) and various other touch points across Bengaluru.